$39 + $5 Registration Fee. All classes are held at W.P.M. 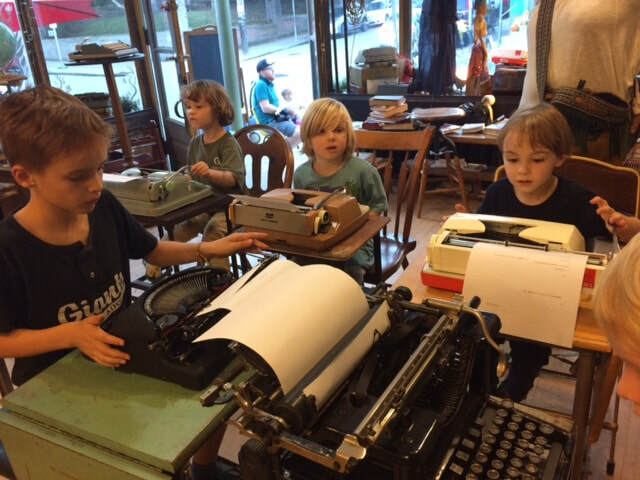 Typewriter Shop. Sign up for adult and teen classes at Mt. Airy Learning Tree. To sign up for kids’ classes via W.P.M. email us at muze@erols.com. Please include your name and phone number, child’s name and age. Email will confirm that there is space for your child. Their reservation will pend receipt of payment within one week of email notice. Touch typing is a lifelong skill. 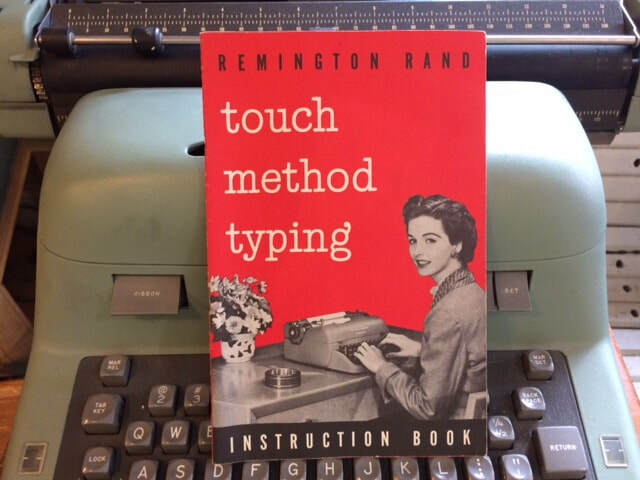 Learn to type without looking at the keyboard (or typewriter), one step at a time. Many people say that touch typing was the most practical class they ever took... and yet few schools currently offer this practice. Each week you will learn these basic skills in new ways -- sometimes to music or to vintage typing records or to your teachers attentive instruction. Learn the characteristics of writing on these machines and begin practicing the mind-body experience that will forever link the memory of which finger goes to which keys. The touch typing skills you practice on a typewriter transfer to computer keyboarding. You will take notes faster and more efficiently, and conduct interviews with eye contact. Typewriting also fosters the mental habit of doing one’s best. This is not insignificant.